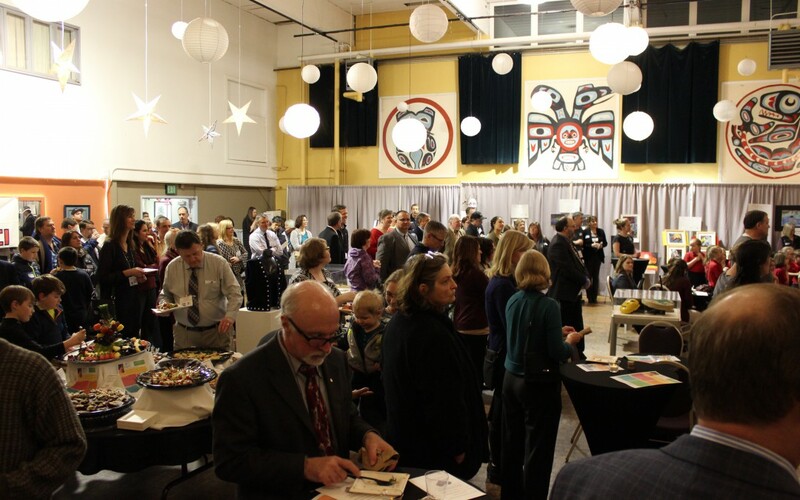 On February 21st, the Juneau Arts & Humanities Council, the Alaska Council of School Administrators, the Alaska Arts Education Consortium and GCI School Access together held a reception to bring together school administrators with legislators. There was music provided by student groups, and administrators from around Alaska brought their students artwork to display. It was a wonderful way to relax, converse and enjoy student artists.